Ensuring that food does not turn bad is the primary function of all forms of packaging. But flexible plastic packaging ensures much more, for example, ensuring sustainability, one of its many perks, in this report. Food spoilage and contamination are almost always linked to mishandling or inadequate hygiene during food preparation. Other important factors, including oxidation, temperature and exposure to light, are often overlooked as culpable factors. 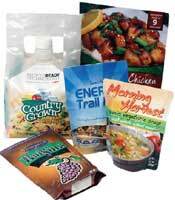 Though food and beverage packaging comes in a variety of materials, lately plastic flexible packaging has been scoring points for consumers and manufacturers alike. This is because plastic use lower environmental costs than other materials, a new study finds. UK-headquartered Trucost, in its latest study titled Plastics and Sustainability: A Valuation of Environmental Benefits, Costs, and Opportunities for Continuous Improvement, finds the environmental cost of using plastics in consumer goods and packaging is nearly four times less than it would be if plastics were replaced with alternative materials. Although alternative materials (glass, tin, aluminium and paper) are viable alternatives to plastic in many consumer goods applications, they incur higher environmental costs in the quantities needed to replace plastic. Based on Trucost’s assessment, substituting plastic with alternatives that perform the same function would increase environmental costs from US$139 billion to US$533 billion. One of the reasons for this savings is that because strong, lightweight plastics are able do more with less material, which provides environmental benefits throughout the lifecycle of plastic products and packaging, Trucost explains. The study also says that the environmental costs of alternative materials can be lower per tonne of production but are greater in aggregate due to the much larger quantities of material needed to fulfil the same purposes as plastics. To further reduce plastics’ overall environmental costs, the study recommends measures such as increasing the use of lowercarbon electricity in production of plastics, adopting lower-emission transport modes, developing even more efficient plastic packaging, and increasing recycling and conserving energy of post-use plastics, to help curb ocean litter and conserve resources. An unlikely product that can uncork the benefits of using flexible packaging is wine. Until recently, and with the changing consumption patterns, wine producers were resorting to packaging wine in heavy, chunky glass bottles that were more costly to ship than other packaging formats. 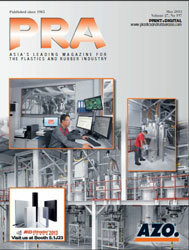 Now, a cocktail of formats are used like bag-in-box containers, aseptic cartons, glass-like plastic bottles, and several other package types. A new study from Freedonia, World Wine Packaging, backs this alternative packaging trend. Glass bottles, specifically the 750-mm size, remain the dominant packaging format for wine; alternative packaging formats are generally not ideal for wine that will be aged for an extended period, but are suitable for wines intended for consumption not long after they are bottled, Freedonia says. It also mentions that many traditional wine producing countries have shifted from the standard packaging formats towards the more innovative bag-in-box, plastic bottles, and others. Furthermore, metal screw caps and synthetic stoppers have established an appreciable market presence, Freedonia added. 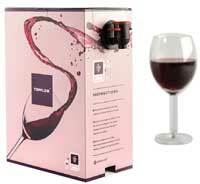 As for shipping wines from source to target markets, bulk packaging has now advanced. On the other hand, advances in bulk packaging technology have enabled shipping of vast quantities of wine, thus saving a considerable amount in shipping costs, particularly for wine that will eventually appear in stores in heavy, breakable glass bottles, the study says. Meantime, US market intelligence firm, Infiniti Research, estimates a growth at a CAGR of 5.38% for global flexible packaging market within the 2015-2019 period. Flexible packaging secures a growing market share, projected to be worth US$351 billion by 2018, UK market researcher Smithers Pira has also pointed out. This shift to flexible packaging from the rigid type is with good reasons: it has barrier features, and is enabling manufacturers to ensure appropriate levels of barrier for the product and end-use. Moreover, it incorporates barrier material that deters harmful ultraviolet (UV) rays from the sun, moisture and other contaminants from reaching the product content. Material advancements have birthed new flexible materials such as styrene-acrylonitrile (SAN) to replace foil, which can be susceptible to breakage when creased. SAN is tough even in thin layers, and recent production methods have improved the flexible properties of this resin, Smithers Pira said. 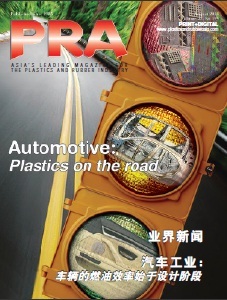 Likewise, consumer demand for packaging transparency is also because transparent barrier films are replacing traditional materials, such as flexible foil, for various applications. For manufacturers of liquid products, flexible packaging offers lighter options, like for example Swedish packaging company Ecolean’s Air Asceptic 1,000-ml packaging for liquid food. “Even though the package is light and thin it has a multilayer structure that protects the content. The eight-layer material is based on the unique Ecolean technology with extended light and oxygen barriers, protect the product quality inside and assure its characteristics during the entire shelf life,” says the firm. Thus, flexible packaging is steering towards the trend of lighter packaging like pouches, which would allow producers to reduce packaging weight by 50%, given the availability of newer, more efficient filling technologies. Other advantages include less wastage as it uses less plastic (and materials for labelling) compared to rigid packaging; and offers aesthetic shelf-appeal to consumers. Meanwhile, consumers are becoming more conscious on the amount of waste generated from packaging, according to UK research firm Mintel, in its latest global packaging trend report. It says that a majority of shoppers it surveyed are aware of packaging sustainability, with about 52% preferring minimal to no packaging in their food purchases and smaller packages for more perishable items because that allows for less food wastage. Meanwhile, 56% of consumers are likely to choose a product that offers better protective features against food spoilage. Since sustainable packaging is moving up to the top of product purchasing decisions among consumers, manufacturers are taking the cue. 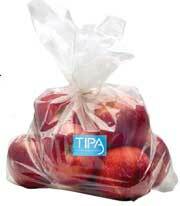 TIPA, an Israeli start-up company, has developed biodegradable films for flexible packaging, which it says have the same mechanical and shelflife properties as most plastics and are suitable for dry, baked and frozen goods, as well as fruits and vegetables. The fully compostable films, when discarded, decompose in 180 days, and become fertiliser for soil. TIPA’s biodegradable films will be wrapping the coffee-house inspired granola bars produced by a New York-based natural foods and lifestyle brand start-up Sheffa Foods. US firm Dow Chemical has, through a collaboration with the Sustainable Packaging Coalition (SPC) and other industry members, created a recyclable PE-based barrier packaging through the use of its recently launched RecycleReady technology. 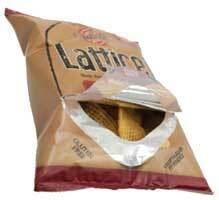 It can be used as flexible barrier pouches and packaging for products like granola and nuts, the company says. The stand-up pouch made with Retain polymer modifiers is the first of its kind with barrier film that can be recycled in a PE recycling stream, according to Dow. When combined with other PE resins, the Retain compatibiliser offers a recyclable solution with enhanced barrier characteristics. These recyclable flexible pouches incorporate multiple layers but use only PE as the basic raw material, the company says. 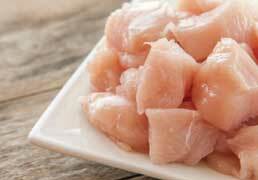 Guaranteeing longer shelf life for fresh foods is a challenging feat. India-based Uflex says it works closely with local customers to extend the shelf life of exotic fruits like lychees, rambutans and mangosteens, to name a few. The company’s Flexfresh Equilibrium Modified Atmospheric Packaging (EMAP) provides the solution to maintain consistent oxygen and carbon dioxide inside a package. Ashok Chaturvedi, Chairman/Managing Director of Uflex, says that during the initial phase of trial, they were confronted by the need to tap into a solution of extending shelf life of fresh tropical produce, which traditional polymers (being used for the same purpose) may fail to achieve. “Most polymers available were either good barriers to oxygen or water, and it is critical to have a unique polymer that could offer the precise requirements of both oxygen and water barriers. In fact, all existing fresh produce packaging solutions in the world grappled with the problem of water condensation inside the bag, a fact that was established during our market study,” he said. He added that for products that perspired heavily, it was found that the MAP did not work since higher CO2 inside the bag changed the organoleptic of the produce. This is critical for fresh produce packaging because oxygen needs to be maintained to keep the product in aerobic conditions. During transpiration, humidity gets released and condenses inside the bag causing fungal and bacterial infections on the produce, he further explained. Thus, Uflex introduced the Flexfresh EMAP, where humidity is maintained at 98%, and thus the product is absolutely dry without allowing condensation. 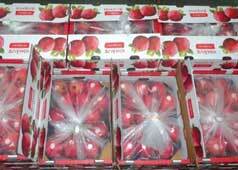 This results in low weight loss of the produce as it continues to breathe in hydrated oxygen available inside the bag. In several experiments on various products, it was observed that the ratio of oxygen and CO2 was maintained at an equilibrium. Flexfresh, which is biodegradable by composting, is currently available as liner bags in 5 kg and 10 kg standard international sizes, flow wraps, FFS film and lidding film. Meanwhile, Uflex is also applying a shelf life extension solution for packaging rambutan, which has a short shelf-life. A favourite fruit in the tropics, rambutan (also known as a hairy fruit) has to be consumed within 48 hours of its harvest. It loses about 8% moisture per day when stored in ambient conditions, which promotes discolouration, making the fruit’s skin turn black and thus unfit for consumption. Meantime, shelf-life issues also tackle food safety, since inadequate shelf-life measures could promote microorganism growth, a major cause of food deterioration. UK-based speciality packaging company Parkside Flexibles has introduced flexible packaging with built-in antimicrobial technology for fresh poultry and protein products. Parkside uses silver-based additives in the coating of the outer packaging to stunt bacteria growth, especially that of Campylobacter, an organism that is the most common cause of bacterial foodborne illness. Parkside’s antimicrobial solution has also been incorporated into PET packaging. The company has several collaborations, including that with UK-based snack food company Seabrook Crisps. It has recently launched a re-closable bag created with laser technology, which removes the need for a separate label and gives brand owners flexibility to choose any opening shape, size and position. It, thus, among its other merits, addresses portion control and food waste concerns. While spoilage is a normal part of food’s life cycle, there are means to slow this process down and prevent food wastage, such as employing packaging that can effectively keep it fresh over a long period of time. In other words, the right packaging can ensure the safe delivery of a product to/from the source – producer, manufacturer or store, to the targeted consumer.